Tectaria barberi (Hook.) Copel., Philipp. J. Sci., Sect. C, Botany 2: 414. 1907; Holttum, Rev. Fl. Malaya ed. 1, 2: 508, f. 300. 1955 [‘1954’] ; Tagawa & K.Iwats., Fl. Thailand 3: 371, f. 34.2. 1988; Boonkerd & Pollawatn, Pterid. Thailand: 211. 2000. – Polypodium barberi Hook., Sp. Fil. 5: 100. 1864. 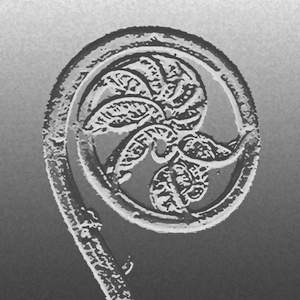 – Dictyopteris barberi (Hook.) Bedd., Ferns Brit. India: t. 322. 1869; Bedd., Handb. Ferns Brit. India: 298, f. 154. 1883. – Type: Lectotype (selected by Holttum, Flora Malesiana, 1991), Barber s.n., Borneo (K). Aspidium kunstleri Bedd., Suppl. Ferns Brit. Ind. : 44. 1892. Rhizome short, erect, about 1 cm diam., densely scaly; scales stiff, linear-subtriangular, up to 15 by 1.5 mm, ferrugineous at margin but subentire in age, brown. Stipes dark stramineous to castaneous, pubescent throughout, up to 50 cm long. Laminae about 40 by 30 cm, pinnate; rachis bearing short articulated hairs; lateral pinnae 4–7 pairs; basal pinna asymmetrically subtriangular, shortly stalked, lobed about 1/3 way to costa at upper edge, bearing along basal lobe 13 by 2.5 cm and some additional smaller lobes, about 20 cm long; middle pinnae narrowly elliptic, shortly stalked or upper ones sessile and adnate, rounded to cuneate at base, shortly caudate-acuminate at apex, subentire to lobed about 1/3 way to costa, 12–17 by 3.5 cm; apical pinna deltoid, deeply lobed, about 18 cm long and wide; firmly herbaceous, glabrous; costa and lateral main veins raised below, veins forming anastomosis with many included veinlets (venatio sagenioides), dark and distinct on both surfaces. Sori round or elongate, usually terminal on free veinlets but often on anastomosing veins also, irregularly scattered on the lower surface of frond; indusia not seen on Thai plants, small and caducous in Malesian plant. Terrestrial near streams in forests near sea level.